This stacked-stone fireplace with floating mantel is traditional but updated. Baby, it’s cold outside – time to light the fireplace! This often overlooked accessory is actually a centerpiece in most rooms, so it’s important that it has the look you want, especially since it is a focal point during the chilly months. Here are a few ways you can update your fireplace. 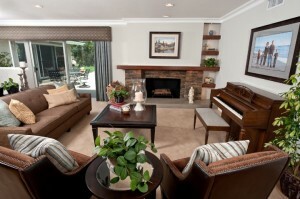 Unlike most parts of your house, a fireplace can get a fresh look relatively inexpensively. For example, simply re-facing the front of the fireplace with stacked stone (see photo) can really make it pop and give it new life. Large tile is a popular choice for fireplaces but I generally avoid it for a couple of reasons. One, the wide grout is difficult to clean, and it does get dirty from the fire smoke. And two, tile is tricky to cut around the fireplace opening, which means it doesn’t arrange correctly on the space. That leaves half-tiles and a cluttered look. Instead, choose from cultured or natural stone, or small tile. 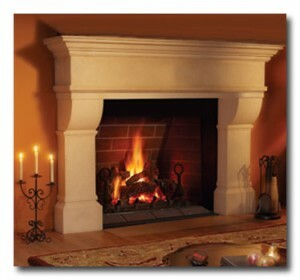 If your fireplace has a floor-to-ceiling surround, you can remove all of it and then add new facing just to the bottom. Then drywall and paint the top, which will provide space for artwork, a mirror or a flat-screen TV. Some fireplaces have no design – they’re more like a hole in the wall. If that’s your situation, we can have our custom woodworker make a mantel with columns that extend to the floor, framing your fireplace. I just did this for a client and it took their fireplace from dull to elegant in one step. If you are only replacing the mantel, be sure it balances with the fireplace size, meaning your mantel shouldn’t be significantly smaller or larger than the fireplace itself. A floating mantel (see photo) is a contemporary option that works well with more rustic styles too depending on the wood you choose for the mantel itself. A new mantel makes gives this fireplace presence and adds a decorative touch. 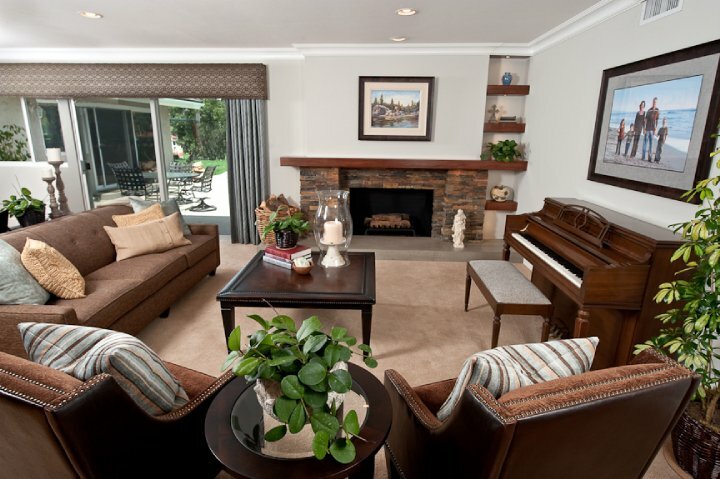 As you plan your fireplace redesign, stick with neutral colors. It can be fun to use colorful tile, for example, but if you want to change your décor later, the tile might have become dated. 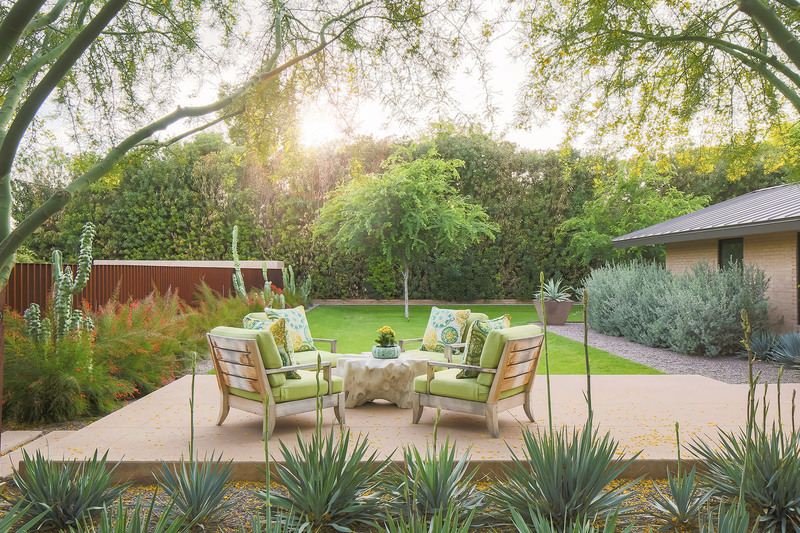 Instead, go for clean and classic, and add color through other room accessories. Also consider converting a wood-burning fireplace to gas. It will be easier and less expensive to operate, and it eliminates flying embers that could end up on your beautiful rugs and furniture. Please contact us at Tracy Lynn Studio if we can help with remodeling your fireplace, or any of your home design needs.